Spring Street, a significant east-west connection for the east side of Collinsville, was reconstructed from IL 159 to Lebanon Avenue. The roadway was a rural typical section roadway constructed to meet urban typical section requirements under federally funded project guidelines. 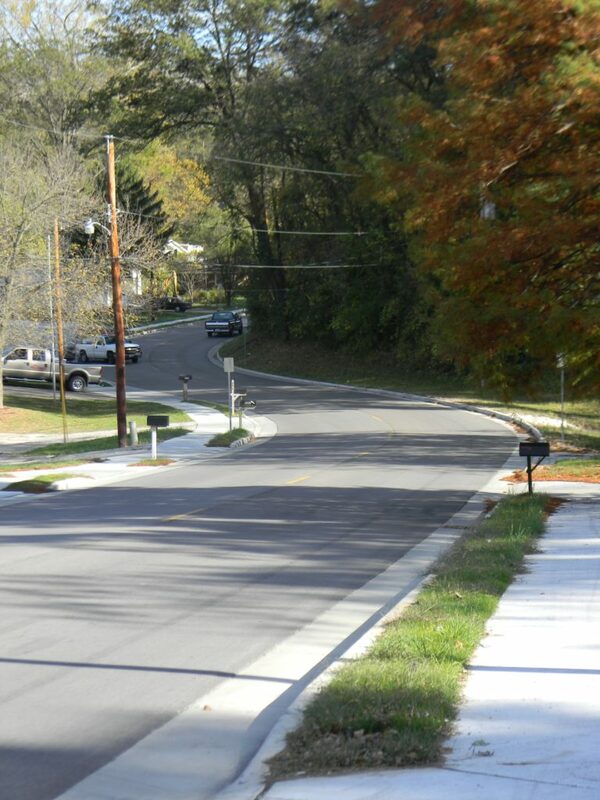 Our work consisted of topographic survey, preparation of a project development report, preliminary and final design, plan preparation, and contract documents for approximately 3,200 feet of roadway with curb and gutter, storm sewer, sidewalks, and retaining walls. Much of the project was adjacent to a major ditch, draining over 200 acres that ran through front yards and under driveways. This ditch was enclosed in a 1,500 foot long 9’ x 5’ box culvert with a shallow swale and inlets to handle runoff from the road and yards. Over 3,000 feet of water line was relocated and 900 feet of sanitary sewer main. A large amount of property surveying and research was done to establish complex existing right of way and property lines where land title was in question, and monumentation was in some instances non-existent or if found, did not agree with record. Right of way plats and legal descriptions were prepared for the approximately 90 proposed acquisition parcels of all types on this project.